By the Honorable Albert M. Rosenblatt. When disputes arise in business and in personal matters, litigation may not be your best course of action. Arbitration and mediation are alternatives to litigation that engage one or more neutral third parties to direct the process. Here, Judge Albert M. Rosenblatt, counsel to McCabe & Mack LLP and an experienced arbitrator, former trial judge and appellate court judge, explains the differences between arbitration and mediation – and why you might not want your dispute to go to trial. Q. What is the difference between arbitration and mediation? A. Arbitration is unlimited in manner and scope and can be used to solve any dispute under the sun. Many people choose former judges as arbitrators for their experience in understanding the issues and adjudicating cases. Often, in business and corporate contracts, the parties agree to settle disputes by arbitration. They agree on a single arbitrator or each side can select an arbitrator and then the two arbitrators select a third. In that instance, the case is heard by all three arbitrators, much like a trial (but without a jury) and then decided by majority vote. The decision of the arbitrators is binding – once the ruling is decided, it is enforceable and cannot be appealed. Mediation is a device by which a disinterested third party, often a former judge, helps both sides reach a settlement. However, mediation is non-binding, meaning that if the parties cannot agree, the dispute still can be litigated or arbitrated. Q. When would an individual or corporation choose arbitration or mediation over litigation? A. Often, people want to avoid litigation when they would like a dispute resolved relatively quickly, confidentially and at a lower cost. Q. In addition to arbitration and mediation, what are your other areas of practice? A. When corporations are doing business in a foreign country and a dispute arises, their contracts may have a clause that calls for the application of New York Law so that they are not drawn into foreign law. Corporate attorneys frequently consult with me for expert reports and testimony on New York Law. Other attorneys consult with me when they are drafting briefs and oral arguments for the New York Court of Appeals. Having sat on the bench there, I can assist them in preparing their case. Q. 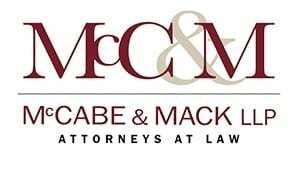 What made you decide to practice law, and later, to join McCabe & Mack LLP? A. For many years I served as a trial judge and as an appeals judge, ultimately in the state’s high court. When leaving the bench, it seemed only right that I spend part of my time in academia, teaching at NYU Law School, and the rest of the time associated with a congenial law firm and very good lawyers, who happened to be my friends. 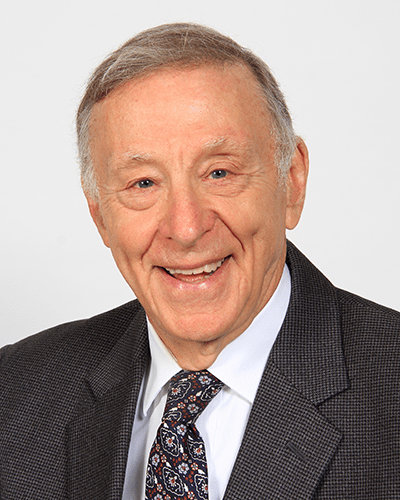 Judge Albert M. Rosenblatt, counsel to McCabe & Mack LLP, a graduate of Harvard Law School and a judicial fellow at New York University School of Law, is a former County Court judge and New York State Supreme Court Justice who served as a member of New York’s Court of Appeals until 2007. He has vast experience in presiding over trials and appeals, and in negotiating settlements and resolving controversies. Since 2007, as an American Arbitration Association affiliate and through the law firm of McCabe and Mack LLP, Judge Rosenblatt has mediated and arbitrated matters in New York, as well as nationally and internationally, involving major national law firms. Attorneys have consulted with Judge Rosenblatt, who has worked with them in drafting briefs and oral arguments in connection with cases before the New York Court of Appeals and Supreme Court Appellate Divisions. In cases involving contracts that called for the application of New York law, Judge Rosenblatt has been called upon to give expert testimony or reports on New York law for courts in England, France, Australia, Cyprus, and Barbados. Judge Rosenblatt and his wife Julia Carlson Rosenblatt, Ph.D., an author, journalist and former Vassar College psychology professor, live in Poughkeepsie, New York.